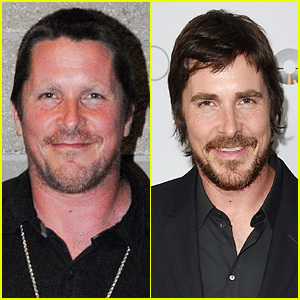 Christian Bale: I Was Torpedoed by Teresa Palmer! Christian Bale shows off his buzz cut while holding hands with his wife Sibi Blazic on Sunday (June 2) in Santa Monica, Calif.
A few weeks ago, the 39-year-old actor rocked a bald head while arriving at LAX Airport. “So I ended up torpedoing into these scenes with Christian Bale and then that continued on for the next eight days. So I was brought back and this character became a bigger character and I got to improvise and it was just a funny, sassy character that’s different from a lot of the other characters that I’ve seen in some of Terry‘s past films,” Christian‘s Knight of Cups co-star Teresa Palmer recently shared.